The number one rule, when you are into blogging, is to know that the web is a battle place. A place where every blogger is in a competitive mode, competing on which blog wins the heart of the reader and which blog gain more shares and likes. Even SEO Cebu or Manila competes to gain more readers and make their blogs at the top rank of the search engine. A tough one, isn’t it? It is daunting to compete with other bloggers who rank on the top. Perhaps not, when you just understand and know how successful bloggers did the work. It doesn’t need to be that complicated when you try and apply their techniques on how they attract readers and win their hearts. Admit it! When you don’t like the topic, or you don’t like the title of the topic, you would skip it. You don’t want to read it. Who would want to read an article when the headline is not even that engaging? Headlines play a great role in your blog. It catches the reader’s attention. It grabs their interest. Because when they read an interesting headline and got hooked up, they will stay on your blog a little longer. Don’t kill a good headline by having a long and wordy title because when you do, expect to have fewer readers. There are limitations in composing a good headline. The ideal length of the headlines is only 6 words. But, there are times when 6 words won’t be enough for the headline. You can have up to 65 characters as the maximum before the search engine truncates your blog post’s title. Another way to attract the reader’s attention is to add numbers or a negative word to your title. With that, the reader will be intrigued by your article. The more intrigued they are, the more they want to stay and read your posts. Remember, it is just only the headline. There are still a lot of things to consider if you want your blog to gain more readers. The content of your article is the meat of your blog posts. Without it, there is no point of having and making one. Of course, there will always be contents for the people to read. This is where the challenge takes place. You already got the reader’s attention through your headlines, the challenge for you is to make the readers stay and read the whole article. You already have an engaging topic. And now, you have to make sure that your content will also be as interesting and engaging as your headlines. Writing the content for your blog is always critical. It needs attention so as not to make the readers feel dismayed. Good blog content is when people can relate to what you are trying to impart through your article. Readers would want to feel the connection between you as an author or a blogger and them. Of course, one way to know what readers want to read is to know what topics that are now trending, the talk of the town (including the social media) or the ins and outs of daily living. And that what makes your blog more interesting when everybody wants to talk about it. And, don’t ever forget the grammar, the punctuations and the spelling of your words. Having a bad grammar, misplaced punctuations and wrong spellings can turn your readers off. It doesn’t look good on your blog, and it is a must of every blogger to check each word to make sure it is properly used. If you are not comfortable with self-editing, you can use online editing sites. There will be suggestions on how to make the sentence more understandable to the readers. With that, it will help minimize the grammar errors in your articles. Publishing your articles on your blog is not just enough. 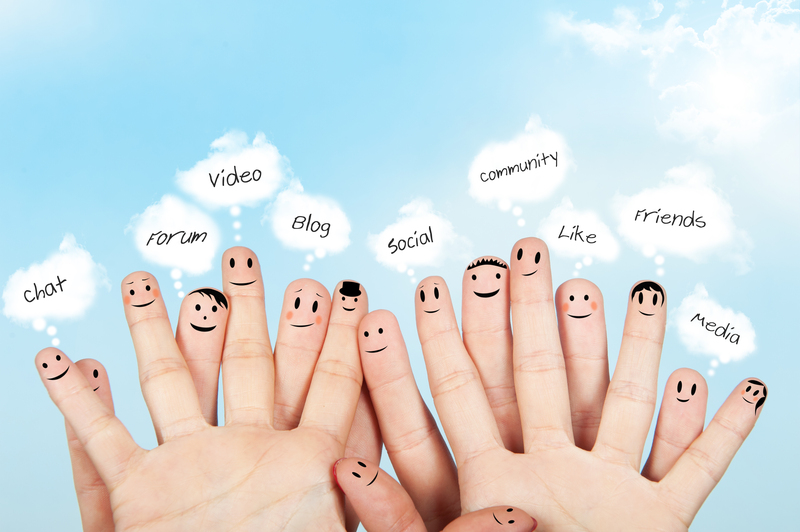 One way to make your blog post noticeable is to share. Because readers won’t make an effort to find and read your blog posts if you don’t share it with your friends or other social networking sites. Sharing is one way to make your blog post be seen and read. Don’t have Twitter accounts, Facebook, Instagram, Tumbler, and other social networking sites? Now is the time you make one. 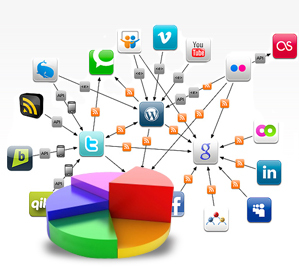 Sharing your blog posts on the social media sites would be a great help to increase the viewership of your blog. In that way, many people will be intrigued what your post is all about since many would like, share, and tweet your posts. Just be careful about which and what sites you will be posting your blog since there are sites that are not that as noticeable as the other leading sites. The beauty of sharing your post on the social media is that when you share, there are people who love your post will also share it with their social media accounts. And through that, more and more people will take notice and read your blog. That is one way to make your blog post rank on the top. The more views, likes, tweets, and shares you have, the more your blog will be placed in the top rank of the search engine. How do you like it? Great isn’t it? That is why every blogger must share their post on social media to gain more readers. 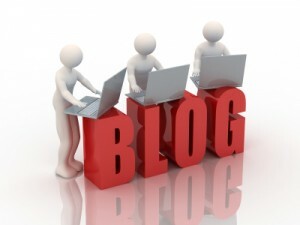 Constant update on your posts also plays a big role on your blog. Updating may give you more reviews from the bloggers or readers. When you update your posts, people would want to interact with you as the author. Most bloggers or other people who just read your articles may want to comment and share their thoughts regarding the topic. 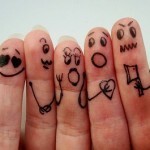 When you interact with them, more and more readers would also love to join the conversations that you have. A constant update on your blog posts means you are an active blogger. And, that is one way to gain more readers to read your posts. When you do the updates, you might want to tag something from the other sites that can be related to your topic for better and wider information that you can give to your readers. None of these things should be treated more important than the other, all of them are. In the world where the social media consume much of the time of the people, it is important to share and update. Nonetheless, this might not be possible without truly engaging and interesting article. Any discussion about SEO Philippines will never be complete without the mention of social media marketing. We can only implement a holistic SEO campaign with social media platform as an indispensable tool to obtain the goals of such campaign. The thing is we are able to pique the interest of our readers and entice them towards visiting the site, driving traffic to our branded sites. Unfortunately, all they do is browse. So, how do we convert our browsing friends into buying customers? We have yet to reconcile the disconnect between website design and development and social media communication. Most probably, the reason you are not winning over your browsing-but-not-buying friends is the page they land on when they visit the site. And oh, please don’t forget that most of our readers are on mobile now. The way you craft a post on any social platform should also be the same way you are crafting your landing pages especially when a particular post leads to that landing page. People expect. We all do. So, expect that the people expect almost the same thing that caught their attention in the first place when on the landing page. The social media audience has a very, very short attention span. Before other things distract them, make the call to action more obvious. The more obvious it is, the more likely a user will take action. 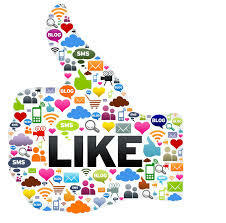 The simplicity must be evident particularly when moving from the social media post to the branded website. The number one rule is making the website as simple as possible, which means fewer options and processes, so the user will make a decision. Distract him, and he will surely leave the site. Even endless browsing itself can distract the visitor thereby competing with the main purpose of the call to action. If the goal of your website is having the visitors watch a video, download a free software or sign up to an email list, then tell exactly what they should do. Simple. That, my friends, is the job of a landing page. Each social platform is unique – it has its own language and culture that only the users can understand. Well, for one, these platforms are highly subjective yet relatable. Perhaps, this is the reason Facebook has more than 1.3 billion active users per month. Facebook is very easy to use. Ideally, create a social-friendly landing page that focus on a simple decision. Here’s a quick guideline. 1) Keep the voice of the landing page consistent with that of the social media channel. 2) Keep the visuals consistent with the social media aesthetics. 3) Ask for only one conversion that the website needs. 4) Put the social media widget on the confirmation page. Along with these, you can vary the theme so you can create landing pages specifically for a community that you target. Consider the following. The interfaces of the desktop versions of both Twitter and Facebook look and feel similar. You can use the same landing pages for your target Twitter and Facebook communities to boost conversion rates. The landing page for Pinterest, Instagram and YouTube must be minimized and more visual. The same goes with putting visually enticing call to action buttons that resonate better for the communities on these platforms. For most of us, social media consume our breaks, scrolling down our newsfeeds to update ourselves about what is happening around us. We update our statuses while at the queue at the grocery store or the train station. We stop for a moment to take a selfie on the coolest and most interesting places that we’ve been. How should your social landing page fit the always-on-the-go lifestyle? How can it fit the needs and wants of the mobile engagers? Primarily, take a cue from what you are ACTUALLY offering your market. Here’s an example. If you are offering a mobile app, there is no need to tap into the desktop-loving users. Your primary target should be the mobile-first users. Put simply, the best moments to convert a social connection is catching him or her at the right moment when he or she is on the right device. Nonetheless, mobile-friendly landing pages is no longer about whether the landing page is viewable on the screen or not and if yes, how does it look. Consider these. Mobile users can only provide the basic information such as name and email address. Mobile users prefer signing up to a website through a social sign up button. Radio buttons and check boxes work better for mobile forms than dropdown lists. Buttons must be big enough so it can be easily tapped. The landing page should only about 20KB so it will load quickly. The content of the landing page must be brief enough. Further, mobile-friendly landing pages are not enough. What is more important is the landing page contains all the readable information that the user needs. Put simply, the landing page should provide value to the users. Not just the products and services that you offer themselves, but the landing page itself. It should save your visitors valuable time. For instance, if the landing page has every required details and loads quickly, then there is no need for the user to look for alternatives and substitutes. Most of the brands tend to overlook this very important aspect. If the landing page fails to add value, conversion will never happen. That is, aside from the actual value of your product and service offerings, you might as well add value to the users through the landing page. We can call this the technical value of landing page optimization. The social media present themselves as an opportunity for the brand owners to tap into the real and felt needs of their users that MUST be reflected in the landing page somehow for a conversion to happen. The bottom line is that the landing page must be able to provide real and felt value to the users before they convert. If there is one thing that we can learn from social media that is ‘snatched’ times are so valuable they are better spent on the right landing pages. Social media has become part of every digital marketer’s language and it is inevitable not to include it as a tool for advertising. And it so explosive that it creates a chain like debris falling from the sky. 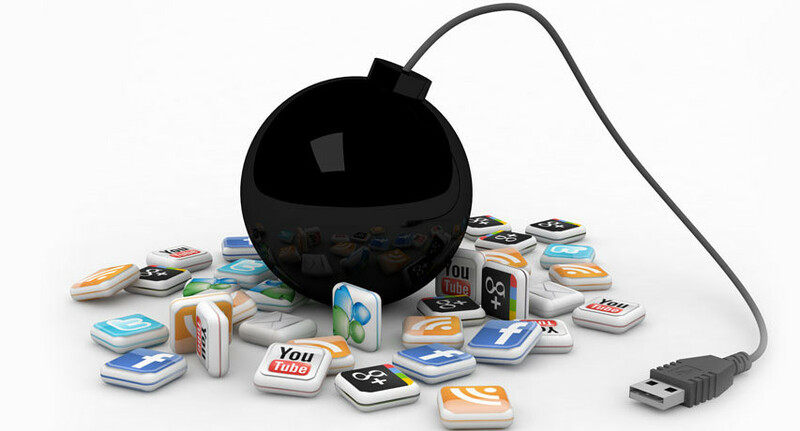 Sure enough, social media can be accessed anywhere through smartphones and mobile apps. Individuals and even digital marketing agencies use this strategy in order to create desirable rankings for companies they are working with or to extend their networks. Reinforcing your knowledge on why social media can bring you to greater heights by recognizing these things can help you maximize your digital marketing options to produce a desirable and meaningful outcome. Well, mostly. And when we say ‘social media’ the thing that comes into mind by most of us is Facebook. Yes, surely it is. And it has been creeping up unto most users. Teens are knowingly hooked into it but did you know that most adults are into social media as well? And with this, it has been considered among businesses to invest more on social media marketing because of the different types of people involved, not mentioning the number of users they can reach. Real time communication is essential for a business to thrive. Through this, customers will be addressed immediately if they have any concerns regarding your product. Having this kind of communication can not only gain you happy clients, but satisfied ones as well. If you go all the way from not just serving them through your product but through your service such as communication, then you will be able to gain trust from your customers. And this is how social media works, it can help you connect and know the needs and wants of your clients, even if they are miles away. Who knows, you might get more customers if one or two of them gets satisfied and will have you broadcasted all over the Internet due to your fast and excellent service. 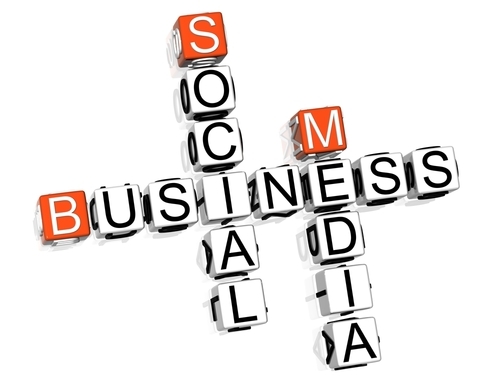 The social media can be one tool for your company to establish that brand image you want people to see from you. It can help you build your brand identity thus creating awareness among your customers about you. This would help your business become something people can relate into depending on their taste and personality. By creating an emotional connection and some character with your customers, in turn, these steps will become effective and can help your brand stand out from your competitors. Nowadays, people get so cautious about posting things, statuses and images on their profile pages because of the fact that people may be offended or may cause negativity among the online-sphere. Companies do this too in order to protect their reputation. Managing your reputation online is such an integral part in any marketing strategy. And with the help of social media, it can provide you with a fast and effective way to maintain this. In dealing with sensitive comments and complaints, you can make instant feedbacks to your customers, which demonstrates a high level of customer service, which can diffuse negativity and resolve issues that the customer may have. Not only individuals who want to connect with their families and friends can use social media to get themselves engaged into each other’s lives, but also businesses. 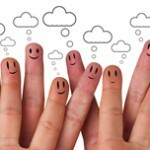 User engagement can be done over the Internet especially for businesses who want to connect with their clients. In order for this method to click, you can create some interesting posts on your social media accounts like images that may stimulate humor or could allow your users to share what they think about something you have posted. Through social media, you can share anything you want. But that always depends on the audience you have and the type of person or business you are. Of course, it is also necessary to share a story to people; you might be interested to share to them how you started as a company or what your new products are. Storytelling is one of the easiest ways to have an audience and social media can be a way for you to unleash those powerful and intriguing words to convey a notable message. Just keep in mind that it is better to keep it in a simple yet detailed way as not to bore your readers. Insights and feedbacks are important results that can be obtained through social media. And these are significant in every business to know what marketing strategy they could do next. Social media makes an avenue for such feedbacks—well basically it really is an effective tool to be used for giving out reactions to anything—as well acquiring knowledge from these customer insights. These insights can drive the development of your business’ social media campaigns and shape strategic decisions, which helps you make your website contents and product or service offerings more attractive and relevant to your customers. It also makes it quick and easy for businesses to obtain feedback from customers through social media and will give you a clearer idea of brand sentiment and help you identify common points you can address to. By being proactive and visible on your social media sites, this is one criteria a customer often finds for a business or brand to be trustworthy. Customers often find it overwhelming whenever they see alternatives that they can choose from. Moreover, because of those alternatives, customers want an easy way to authenticate a business that they are dealing with especially if it is a first. Your social media activity makes it a trigger for potential customers to build their trust on you because they can see that you are always updating your accounts or social media sites. This means that customers are more at ease to know that you are active online, giving them signals that you care about them and once anything goes wrong, it will be easy for them to contact you. Plus bonus points for always being functional online! This is basically the bottom line of having a social media account. Not only in terms of SEO this shows how important content marketing is but also is a way to attract new customers. Social media helps increase awareness to your potential audience and can in fact be a way for your business to be recognized. Today, it takes more than just making websites visible online. It also requires online publishers to enhance and widen their social footprint with or without the help of an SEO company. Indeed, optimization strategies cannot be separated from social strategies especially if increasing searches and improving rankings are your goals (which should be). Now here’s the perennial question: WHY ONLINE BUSINESSES MUST CARE? Perhaps, these figures will tell you blatantly why you cannot afford to ignore SEO + SMM (social media marketing) = SOCIAL SEO. Women are more active on social media than men. 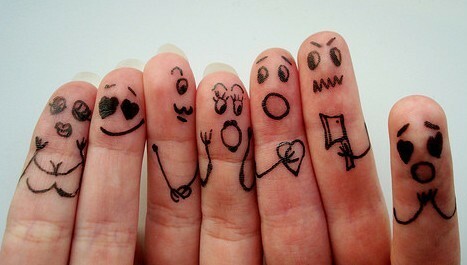 Nearly 1/3 of all online users are a member of at least a social media network. About 89% of young (aged 18-29) are socially active. The folks (aged 50-60 and 65+) are also socially active at 60% and 43%, respectively. 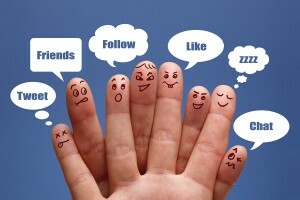 About 72% of Internet users are active on social media. About 71% of the users access social media through mobile devices. Facebook has a total of 1.2 billion users today (and growing). About 23% of all Facebook users check their accounts about 5 times daily. About 70% of online businesses gain a new customer through Facebook. Roughly 45% of B2B companies acquire a client through LinkedIn. Approximately 20% of all LinkedIn users are below 30 years old. Twitter has 550 million registered users, 215 million of which are active. B2B companies that utilize Twitter generate twice as many leads on average than those that don’t. Only 23% of all tweets generate an action (reply, re-tweet, etc.). Google+ has 1 billion total users, but only 1/3 is active. Google+ users spend 3 minutes per month on an average. Pinterest has 20 million active users monthly. Instagram has 150 million active users monthly. 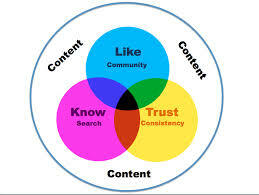 Now that you’ve understand what you are missing, tying your SEO efforts with your social strategies is a must. Unfortunately, this is one aspect that is very difficult to pursue not because online marketers don’t know where to start, but they don’t know how to start. Not to mention, there are challenges about SEO and SMM along the way that defy each component, so what more when they are combined. Here are some of these challenges that also cement the supposedly non-separation of SEO and SMM. Some online marketers deliberately chose to start their SEO and SMM efforts after building their websites. This is the culprit of all culprits! SEO should be a fundamental part of the website design or re-design process. This is the reason there’s such a thing as ‘technical SEO.’ SEO and social media widgets, for instance, must be architected into the design early on, perhaps while still at the design stage. 2) How much to spend? Unquestionably, marketers need to invest on a website. However, what good is a perfectly designed site if it lacks high quality content? A business is an ongoing investment. Invest on brand journalists, too. These are the people who are ready and willing to align their goals based on the company goals. The secret is investing on quality. If it means investing a million dollar for excellent content, then so be it. You would eventually reap the highest ROI possible if you put a premium on excellent contents that convert. Another culprit that Google itself is attempting to eradicate is the excessive buying of likes, shares, subscribers, followers, etc. All of these must be earned and not negotiated! The majority of online marketers are guilty of creating a portfolio of search and social tactics without having a clear focus on what tactics really work for their brand. An all-or-nothing approach must be avoided. Instead, you should widen your knowledge base so you can make more solid decisions about which tactic works best for the nature and purpose of your business. For startups, trying most of the tactics will do to determine which ones will stay. 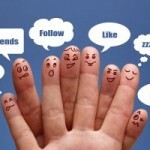 Think of Facebook, Twitter, LinkedIn, Pinterest, Instagram and Google+ as your primary engine to promote new contents. 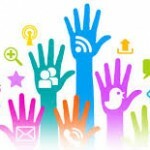 Organize social campaigns and write optimized contents for these particular campaigns. When creating contents, follow the basics such as writing unique, informative and compelling contents, building well-structured pages, and following the SEO best practices. Don’t forget the metadata such as tags, images and authorship. 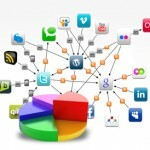 Create parameters, metrics or indicators, whatever you desire to measure the performance of the socially-shared contents. Look for rooms for improvement. Silos won’t work. Think about this: why do you have two separate SEO and SMM teams? This is the essence of the lack of integration between the two. 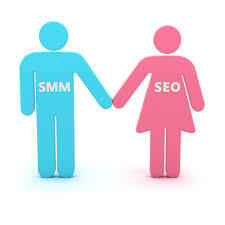 Break down the SEO vs. SMM barrier by combining the teams. Further, have the team members meet on a regular basis so they may coordinate their strategies and together, they may set clear and measurable conversion and sales targets. The teams may also develop operational calendars to meet these targets. SEO and SMM is not a one-time, big-time effort; it’s not an overnight success story as well. It is an ongoing process that takes time, money and effort to reap all the benefits of such. The secret is putting the right content with the right message in front of the right audience at the right time published on the right channel. With this, nothing will stop the users from engaging with your contents and eventually with your brand. In short, create contents (the SEO part) for your target audience and publish the contents where your target audience is (the SMM part).